By Lindsey WeberDirector Bong Joon-ho talked with Vulture about this very subject a few weeks back. His take? That the ending is optimistic. (Or is a happy ending just the magic of the movies? )They have no memory of what it's like to be on the Earth. For them to procreate, it's going to take a little time. So, for me, it's a very hopeful ending ... But those two kids will spread the human race ... I don't really feel everyone must die. I hope there were other survivors who lived through the avalanche, I just didn't have the means to shoot that ... You realize later on that the kids are the ones keeping this engine going, and this machinery intact. The engine is itself is on its way to extinction along with cigarettes, and other goods. Extinction is a repeated word throughout the film. But outside the train, life is actually returning. It's nature that's eternal, and not the train or the engine, as you see with the polar bear at the end.Obviously, he’s the director, it’s his movie, and he’s the definitive source on what he meant by the ending. But that doesn't mean fans haven't gone wild speculating about the scene’s inherent ambiguity. In one Reddit discussion thread, a slew of dystopian naysayers claim that, unless there are survivors elsewhere that Bong Joon-ho decided not to show on film, Tim and Yona are dead meat. "A girl and a kid that lived in a sheltered environment their whole life and don't know how to hunt or gather in the snow ... I give them a couple of days, tops," writes HappyZavulon. Many suspect they’d simply get eaten by the very animal being used as a symbol of hope. 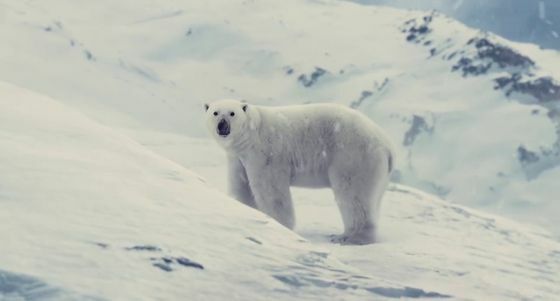 Suggests emareperiod: "The polar bear eats humans. One of the top 3 human eaters on the planet. Vicious human eater. They are dead. Dead, dead, dead, dead, DEAD." By James Marshall CrottyThe plodding climactic showdown between Curtis and Wilford--spoiler alert!--could have been cut by ten minutes (not to make the film more "mainstream," as producer "Harvey Scissorhands" probably wanted, but because it just drags). And the ending--a shot of a twenty-something Korean clairvoyant/drug-addicted locksmith and a small black boy staring at a polar bear is supposed to have instant profundity--is a leaden letdown. We are left to presume that these two will survive in this suddenly warming world, and the new human species will be a marriage of these two disparate ethnic groups, but not until the little boy is old enough to consummate the union. Yes, odd, and logically preposterous. And not the only place where absurdities abound. Nam wants to blow the door off the train, but Curtis convinces him it's too risky. Nam reluctantly gives up his dream. Curtis meets Wilford who explains how the train really works. Curtis is distraught at first, but then gets angry. He tells Wilford that the train's setup is obscene—that Wilford should divide the train's resources more equitably. Wilford laughs at him and orders something terrible—perhaps for his troops to kill the rest of the poor people. Enraged, Curtis gets the explosive and the match and blows up the train himself. Several cars in the middle topple into the abyss, and we see rich people dying. But most of the train simply derails and topples over. The train is a smoking ruin in the snow. It doesn't look as if anyone has survived. But then one figure emerges: Curtis, the ultimate survivor. Curtis looks over the damage he's wrought. It seems hopeless…but then people start emerging from the wreck. Some rich people, but more poor people. They're amazed to find it's not lethally cold; they can survive outside. Then Yona emerges with Timmy. They're the only survivors from Curtis's plucky band of rebels. You have a potential father, mother, and child—a classic family unit. They're taking stock when suddenly Wilford, bloody and battered, emerges too. He's furious that Curtis has destroyed his life's work. He attacks and they fight. With Yona's and Timmy’s help, Curtis wins. Rather than kill Wilford, Curtis does something dramatic like take Wilford's coat and tell him to return to the train if he can. Wilford struggles back but freezes on the way and is covered in falling snow. Led by Curtis, Yona, and Timmy, the straggling band of humanity climbs through the mountains. The survivors reach a valley—perhaps with smoke or steam rising from the earth to suggest volcanic activity. First they find plant life poking through the snow. Then they spot animal tracks. They see an arctic hare hopping through the snow, and perhaps a hawk circling overhead. Finally, they spot a human footprint. Someone has lived through the ice age outside the train. There's hope that humanity will endure. Is that a better ending than the actual one? Yes, I think so. If you think Curtis needs to sacrifice himself, like Christ, to atone for his sins, no problem. Just have Edgar his second-in-command (disciple) survive. If necessary, kill someone in Edgar's place. I'd also let Mason (Tilda Swinton) survive. It would be fun to see her shocked face as everything she knows is (literally) overturned. And it would send a message about reconciling the rich and the poor in the new world order where the class system no longer exist. The polar bear wasn't the best sign of life to show. Never mind that polar bears don't live in the mountains. A bear could've scavenged leftover bodies and supplies for 17 years. It might be the last bear in existence. My ending implies a whole ecosystem survived. Which in turn implicates the folly of sealing oneself in a train, out of touch with reality. In short, my way is better.